Scoring FREEBIES is so much fun. Its even better when you can score FREEBIES for your friends. Right?? 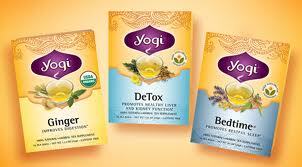 Hurry and snag your FREE Yogi Tea Sample for you and a Friend. Its a super easy FREEBIE to grab, but be QUICK! Don't forget that sometimes FREEBIES like this come with awesome coupons to use on the product if you enjoy the FREEBIE!